This week the Bahraini nation lost one of its greatest and most devoted men, His Highness Shaikh Abdulla bin Khalid AlKhalifa, the President of the Supreme Council for Islamic Affairs, and the Ex-Deputy Prime Minister, and Ex-Minister of Justice and Islamic Affairs. HH Shaikh Abdulla Khalid AlKhalifa was born in the city of Muharraq in the year 1922 and graduated in 1940 from the AlHadaya AlKhalifiya School. Described as an encyclopedia of Law, History and Islam Shaikh Abdulla learnt to read, write and memorize the Quran at an early age. He was an icon in the modern history of Bahrain due to his large efforts in serving his country in a variety of fields which reflect his deeply cultured, multi-faceted character and numerous talents. As such, he did not limit himself to the official duties of the Minister of Justice and Islamic Affairs and was involved in many humanitarian and charitable efforts believing such effort to be sacred. 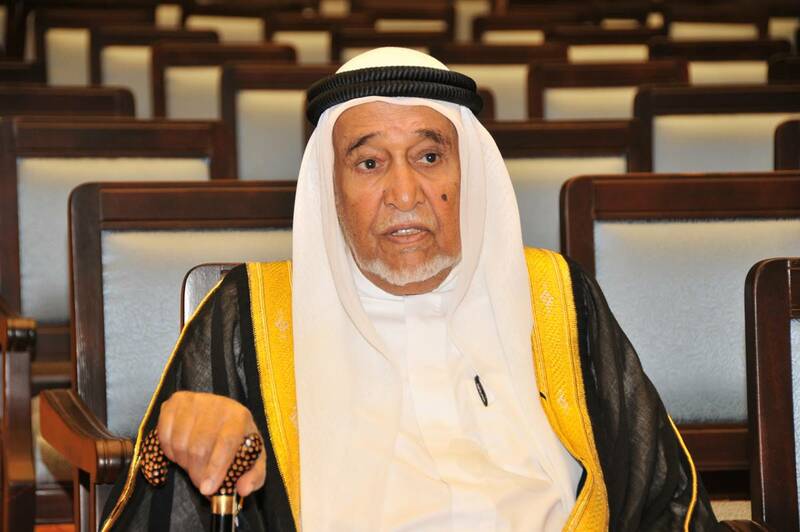 At the time of his passing, Shaikh Abdulla was President of the Bahraini Red Crescent Society (since 1969) and the Head of the Higher Committee for Haj. HH Shaikh Abdulla bin Khalid began his judicial career in 1951 as a judge of the courts, an appointment that continued until his appointment in 1962 as judge in the higher appeals courts. Following his judicial career, Shaikh Abdulla performed many administrative roles in the country, such as head of the Riffa Municipal Council and head of Manama Municipal Council, and head of the Planning and Coordination Council from 1962 until 1970. When Bahrain became an independent nation in 1971, Shaikh Abdulla became minister of agriculture and Municipalities in the first government, and in 1975- in Bahrain’s second government- he was appointment Minister of Justice and Islamic Affairs- which also head the mandate for Trade and Agriculture- then both Minister and Deputy Prime Minister in the next two governments of the country, and ultimately as President of the Supreme Islamic Council. Notably, HH Shaikh Abdulla was instrumental in His Majesty The King Hamad bin Isa’s reform process, and he oversaw the processes of drafting the Bahraini Constitution and the National Action Charter in 2002, as he was head of the drafting committee. Shaikh Abdulla bin Khalid is remembered for his official duties as much as his lifelong passion for Culture and Knowledge- specifically Islamic Science and historical research, fields he pursued from a young age. In 1945, Shaikh Abdulla set up the first public library in Bahrain, The Khalifiya Library in Muharaq. In 1978. Due to his intense attention to documentation, Shaikh Abdulla was given the responsibility of creating and heading National History Documentation Centre, which curates more than 77,000 documents, and publishes the magazine “AlWathiqa” (The Document) twice a year since 1972. In the year 2000, these efforts culminated in the creation of Isa Cultural Centre and The National Library, the largest collection of books and documents in Bahrain’s history. Shaikh Abdulla donated his private library- the largest in Bahrain, with 30,000 publications- to The National Library of The Kingdom, where his literary legacy can now be found. In the year 2009, HM The King bestowed upon Shaikh Abdulla bin Khalid AlKhalifa the title of “His Highness” in acknowledgement of his high status and many decades of service to The Kingdom of Bahrain.